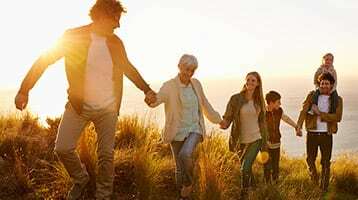 Talking about—or possibly working together on—financial matters can be challenging for senior parents and adult children alike. Here are four questions to help guide the conversation. When approaching parents: Be proactive, but thoughtful. If they decline, try again later. Create a safe zone for candid conversations; remember that listening and sharing go both ways. Callout: 1 in 4 adults worry about potential conflict when talking with their parents about needs in later years. What information are you ready to share? When talking to children: Assume good intentions, but be sure to explain what you feel comfortable sharing. Suggest developing a strategy together. Talk through how your child may help and where important details—contacts, passwords, and keys—are safeguarded. Callout: 32% of older investors have not shared where to find legal, medical, and financial documents, if needed. When talking to parents: Keep the conversation open-ended, but be specific. Adult children often have a different view than their parents of how things are going. This can be a good time to align and to offer help as appropriate. Callout: 31% of older investors worry they will not be able to manage the complexity of their finances as they get older. Callout: Significantly more adult children (53%) worry about this for their parents. Can we talk again next month? When talking to children: Don’t feel rushed to share everything at once; the conversation can happen in stages. Just keep the lines of communication open as your needs may change. Callout: 57% of parents and 32% of adult children don’t feel estate planning is an urgent need. Learn more in the 2018 Wells Fargo Elder Needs Survey at wfa.com/2018-elder-survey. Caring for aging parents as well as children can leave you feeling squeezed. These six strategies can help relieve some of the pressure. Aging can be challenging, both personally and financially. Wells Fargo Life Management Services may provide the support you need to help maintain your quality of life.